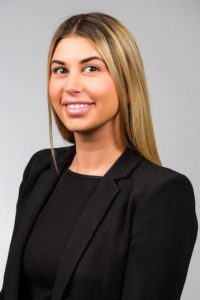 Olivia Cicchini is a Paralegal Associate at Monkhouse Law. She is a graduate of the Accelerated Paralegal program at Seneca College and holds a Bachelor of Arts (Honours) in Political Science from Western University. At Monkhouse Law, Olivia assists with drafting and preparing client files for mediation and litigation. She has always had a passion for drafting and volunteered much of her time to essay writing clinics during her time at university. In her spare time, Olivia enjoys spending time with friends, playing with her dogs, and trying new restaurants.